Few details are provided, other than the two devices, designated as A1954 and A1893, are two Apple tablets running iOS 11. However, it is easy to envision what Apple is likely doing to refresh the device. I would expect to see an upgrade from the A9 to an A10 Fusion processor. Other obvious improvements will likely come to both the rear-facing and front-facing cameras. Considering that this model proved to be quite popular last year, I wouldn’t be surprised if Apple also offered an additional tier of memory, in addition to the 32 GB and 128 GB models. There is another rumor from DigiTimes that made the rounds later last year about the potential for Apple to release an even lower cost iPad in 2018. At the time, I dismissed the rumor because Apple already had to make several concessions to get the current iPad’s price down to a more palatable $329 starting point. I just don’t see an easy way for Apple to go lower without going against their proven market strategies. Amazon pretty much owns the value tablet space at this point, and there is little incentive for Apple to try in play in that sandbox for a little more market share, when they already control the profit and mindshare in the tablet space. Also, Apple’s 2017 strategy of releasing a lower-cost model that would still be a solid upgrade for people with older iPads worked. The device played a significant role in stemming the tide of falling iPad sales and profit numbers. I have a hard time believing that Apple has incentive to create a new device to get an even lower starting price. All that said, I could see Apple keeping the base model of the existing Fifth Gen iPad around at a lower price, while offering the base model of the new and slightly improved Sixth Gen at the current $329 starting price. This would be a different strategy for Apple, as they typically discontinue previous models of the iPad when a new one is released. 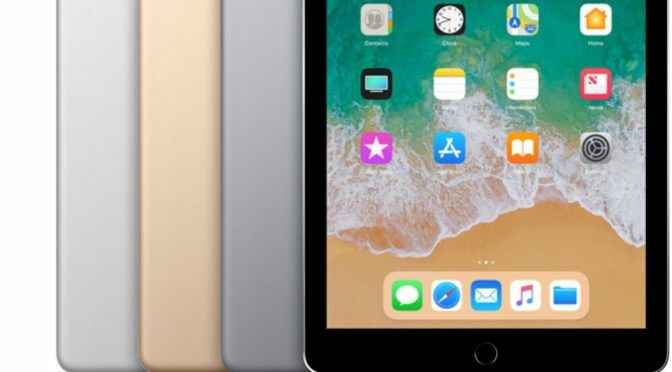 There are some exceptions, such as them keeping the iPad Mini 2 on sale as a lower-cost entry model after subsequent Minis were released, but this is not the norm for the iPad as it is for the iPhone. However, last year’s Fifth Gen iPad also broke with tradition, taking a step back in size and screen from the iPad Air 2 for price considerations, so I don’t think keeping the Fifth Gen on board for another year is unrealistic. Whatever Apple has in store for their lower-cost iPads, we should know very soon. Like last year, these should be announced with a simple press release and very little fanfare within the next two to three weeks. What do you think of Apple’s tablet strategy at the lower end? Let me know in the Comments section below, on Flipboard, on our Facebook page, or on Twitter @iPadInsightBlog.